Place approximately two tablespoons of baking soda in a small plastic container. Add water enough to form a paste. Damp the footbeds using a cloth or old toothbrush. 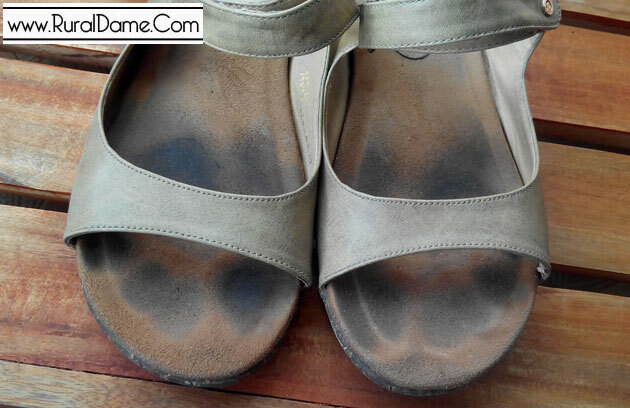 Spread the baking soda paste in the footbed and brush gently in circular motion. 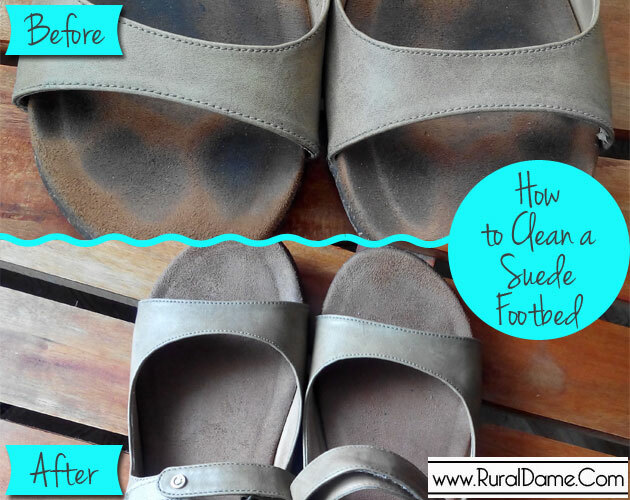 Wipe the footbed with a damp cloth to rinse. Repeat step# 4 & 5 if the dirt is not totally removed. 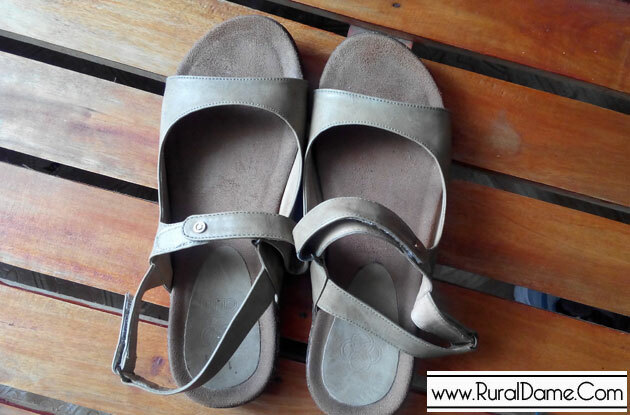 I am now enjoying my clean and stink-free sandals.